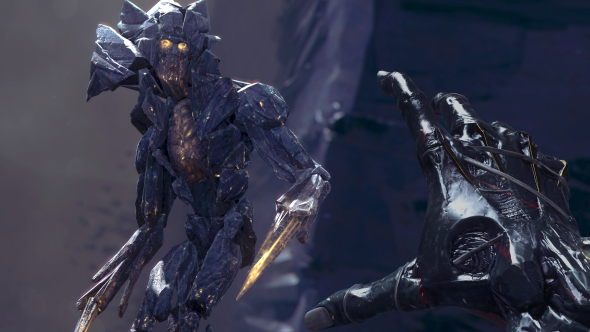 Following the release of Prey – Arkane Studios’ System Shock-inspired sci-fi RPG – Arkane’s founder, Raphael Colantonio, announced that he was leaving the company. Dishonored 2’s co-creative director, Harvey Smith, also moved from the Dishonored studio at Lyon and travelled back to the US to oversee the Austin branch. 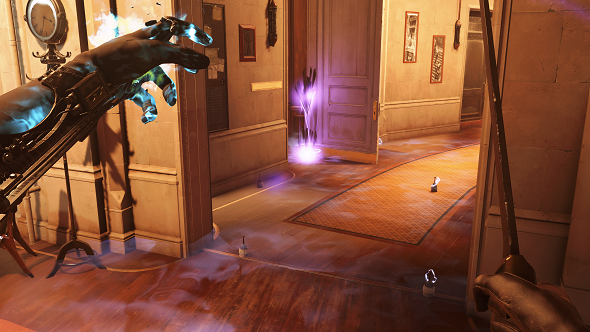 At this point, Dishonored: Death of the Outsider was around halfway into development, but Smith was forced to take a more hands-off approach for the second half. Creep across the rafters in our list of the best stealth games. “It’s a shock, because Raph and I have been working side-by-side for nine years,” Smith tells us. 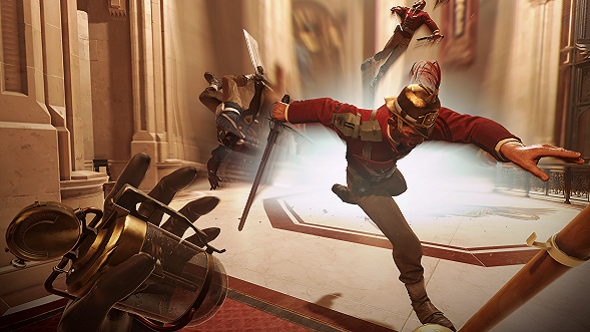 “For Dishonored 1 we were in this weird role where we collaborated very tightly. It was the hardest thing I’ve ever done, but also gratifying – and I learned a lot. We were already friends, but I got to know him much better. Then we said ‘let’s do separate projects – you grow the Austin studio and I’ll go at my own [project]’. Before you know it, four years went by. Colantonio is currently still around in a consultancy role, helping with the transition. The presidential, operational responsibilities are all completely new to Smith, so he’s happy to have the founder still around as an advisor. Colantonio’s continued presence also helps the Lyon studio adapt to the changes. Still, it must be strange for Smith to step away from Dishonored a bit – the series that’s dominated his life for all these years. Saying that, Dishonored was never only Smith’s baby. Like the major players in Dishonored, the pieces have shifted on the development team since that day, too. Just as players get to experience Dishonored through a brand-new protagonist in Billie Lurk, the writing team was refreshed for the Death of the Outsider. For the first game, it was Harvey Smith, Ricardo Bare, Austin Grossman, and Looking Glass’ Terri Brosius – who wrote over half the lines for the talking heart, one of the fan favourite components of Dishonored. “Then for Dishonored 2, we hired Sachka, and if it’s true to say that Dinga was my right-hand man on the project, Sachka was left-hand woman,” Smith explains. “By the time we get to Death of the Outsider we knew we needed more support – Austin wasn’t as available, Terri wasn’t as available, they had other games going on. Obviously we weren’t working with Ricardo. Sachka Duval already has experience writing for the series with Dishonored 2, but her responsibilities were bumped up. Outside of Duval and Smith, though, the entire writing team is new blood. On top of being fresh talent, they’re also all women, other than Smith. This wasn’t an intentional decision – they just hired the best writers they could, though Smith does value inclusivity. 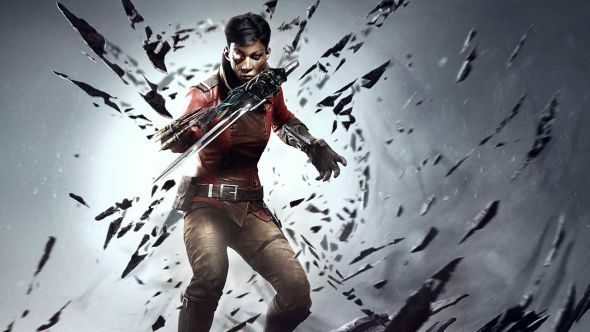 One of Dishonored: Death of the Outsider’s new tricks is allowing Billie Lurk to steal the visages of those around her, adding a completely new layer of tactical considerations to the game: social stealth. As we wrote about in our article, Smith didn’t think the power would work to begin with, but the game design team pushed the feature and it’s now one of his favourite things in Death of the Outsider. It just goes to show how much something can be refreshed with some new faces, even if you are ripping them from unaware guards.